Em, who’s always tuned in to the latest fashion news, sent along Moschino’s newest collection designed by the company’s recently appointed creative director Jeremy Scott. These humorous gowns and outfits follow in the Moschino tradition of taking iconic logos and characters and interpreting them with an ironic twist. 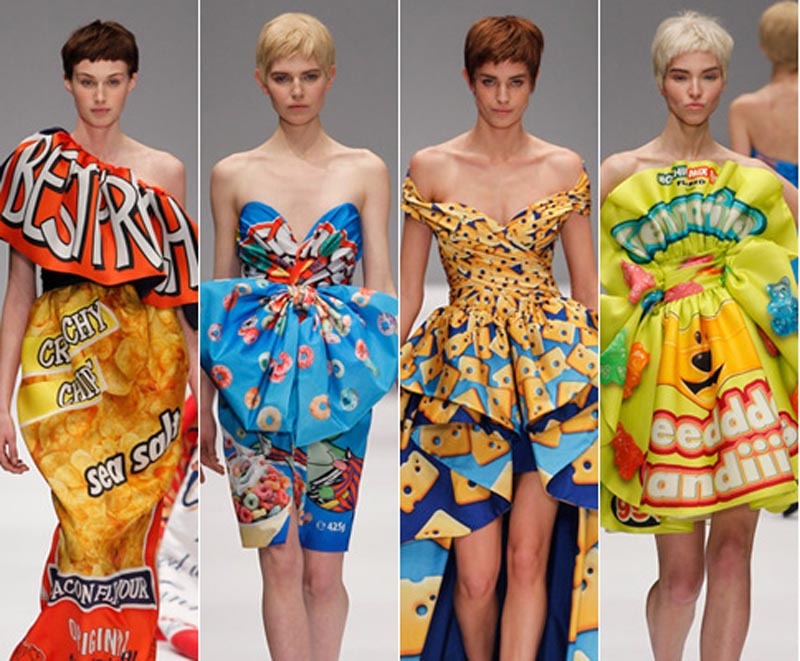 Jeremy Scott’s line, which includes a capsule collection called Fast Fashion, is inspired by the less-than-healthy snack and fast-food industry. 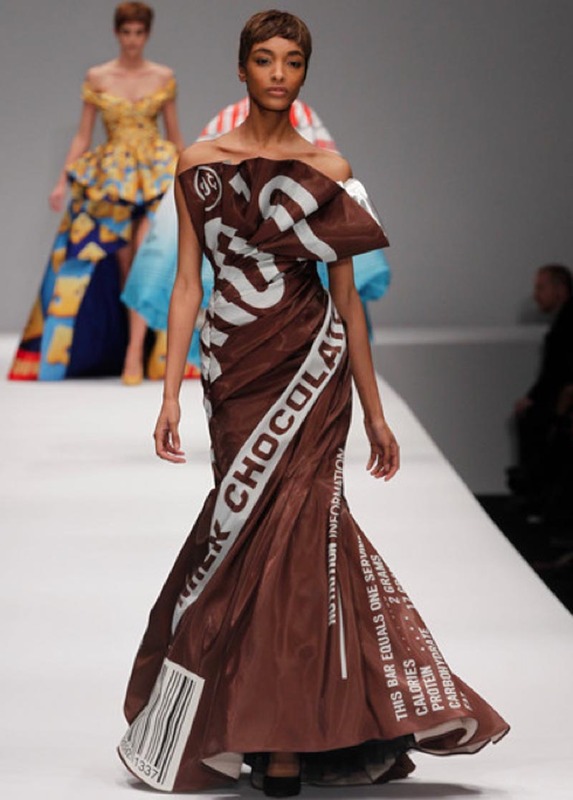 Blowing up these packages ranging from Hershey’s chocolate bar wrapper in this case enveloping a woman’s body, to a variation of the McDonald’s logo centered large on a handbag, the runway show must have felt like a trip down the supermarket aisle in Lilliput. I can’t imagine who will be wearing these, but that Nutrition Facts bridal gown is definitely an irresistibly fun turn on traditional wedding attire. This entry was posted in Fashion, Fun, Pop Culture, Stuff We Like. Bookmark the permalink.